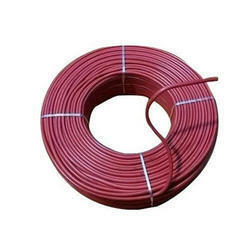 Length Available in coil upto 500 mtr and 6 mtr length. 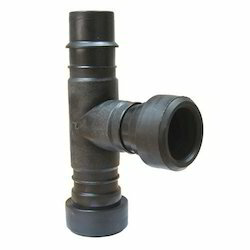 HDPE Pipes are Manufactured from Grades PE 63, PE 80 and PE 100 and is an ideal Replacement of GI and MS Pipes. Drawing Water from Dams and Borewell for Water Distribution. External & Internal Drainage and Sewage. Telecommunication Cable Ducting. for Domestic and Industrial use. 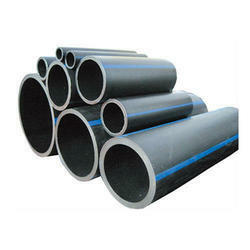 High quality HDPE pipes are manufactured as per specification no. IS: 4984/1995 of the bureau of Indian Standards. HDPE pipes are available in sizes ranging from 20mm - 200mm od with 2,5,4,6,8,10,12.5 and 16kg/cm2 pressure rating. Light in Weight and Easy to Carry as Compared to GI & MS Pipes. Low Transportation and Installation Cost. Available in Suitable Coils from 50 Meter to 500 Meter as Well as in Straight Lengths of 6 Meter. Transfer of Heat is Much Lower. Chemically Inert and UV Resistant. Good Elasticity & Strength Property. Smooth Inner Surface Prevents Growth of Bacteria Hence Making Pumping Easier and Faster. Cross-linked polyethylene (PEX) has been used since the 1980's for radiant heating systems, and has become popular for potable water in recent years. ... High-Density Polyethylene (HDPE) pipe has been used for decades in non-potable water applications. In particular, HDPE pipes are often preferred for their welded joints. 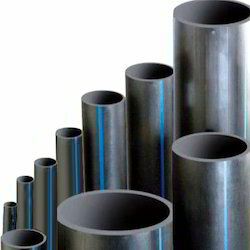 Being a customer focused organization, we are engaged in manufacturing and supplying a wide assortment of HDPE Pipes. Our range of products are manufactured using high-grade raw material and hence, render reliable and durable performance in extreme conditions. These products are evaluated on various parameters in order to ensure their perfect functioning. These products can be availed by customers in variegated colors, sizes, and shapes as per their requirements. Our company is engaged in offering extensive variety of End Cap to our respected clients. These are made using superior quality raw material which is procured from renowned vendors. End caps are well known for their high durability, functionality and performance. We supply Sprinkler Pipe, which is widely used in Agricultural, Petrochemical, Paper, Dye, Paint, Cement and Other Chemical Industries. Designed in compliance with international quality standard, our range provides better flow of water. These can be customized as per the specification of clients. 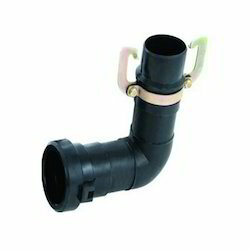 Being a customer focused organization, we are engaged in manufacturing and supplying a wide assortment of HDPE Pipes. Our range of products are manufactured using high-grade raw material and hence, render reliable and durable performance in extreme conditions. These products are evaluated on various parameters in order to ensure their perfect functioning. These products can be availed by customers in variegated colors, sizes and shapes as per their requirements. 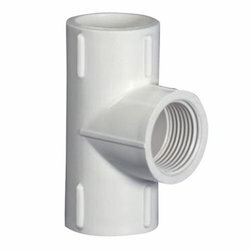 Size 3", 2", 1", 1.5"
We are leading manufacturer and exporter of upvc pipes and fittings as per ASTM 2467. 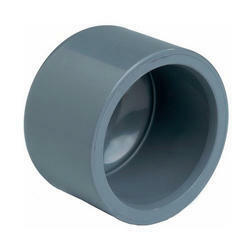 We have wide range of pipes and fittings from 1/2" inch to 2" inch size.